I used it for the first time today and it made my skin feel so soft. My skin was starting to look dull from the winter and this saved me. Jennifer has rated on date 03/05/19 as Amazing!I used it for the first time today and it made my skin feel so soft. My skin was starting to look dull from the winter and this saved me. with 5star. This oil has absolutely saved my life this winter season. I have a mix skin of oily and dry. My dry areas were severely dry and my oily areas severely oily before using this. This product has balanced my face and has honestly reduced fine lines since I began using it about 1 month ago. This is definitely something I can’t live without anymore. Highly recommend! Lindsay has rated on date 12/18/18 as Love love love!This oil has absolutely saved my life this winter season. I have a mix skin of oily and dry. My dry areas were severely dry and my oily areas severely oily before using this. This product has balanced my face and has honestly reduced fine lines since I began using it about 1 month ago. This is definitely something I can’t live without anymore. Highly recommend! with 5star. I don\'t use the Hydrating Oil for a make up routine. At might after exfoliating my face and toning it I use a bit of Anastasia Beverly Hills Hydrating Oil and mix it with my eye cream and it leaves my skin so soft. I love the smell of herbs and when i wake up the next day my skin looks radiant and young. I absolutely love this product. Was this helpful to you 13 customer says yes and 4 says no. undefined has rated on date 08/06/18 as Love It!I don\'t use the Hydrating Oil for a make up routine. At might after exfoliating my face and toning it I use a bit of Anastasia Beverly Hills Hydrating Oil and mix it with my eye cream and it leaves my skin so soft. I love the smell of herbs and when i wake up the next day my skin looks radiant and young. I absolutely love this product. with 5star. I don't use the Hydrating Oil for a make up routine. At might after exfoliating my face and toning it I use a bit of Anastasia Beverly Hills Hydrating Oil and mix it with my eye cream and it leaves my skin so soft. I love the smell of herbs and when i wake up the next day my skin looks radiant and young. I absolutely love this product. 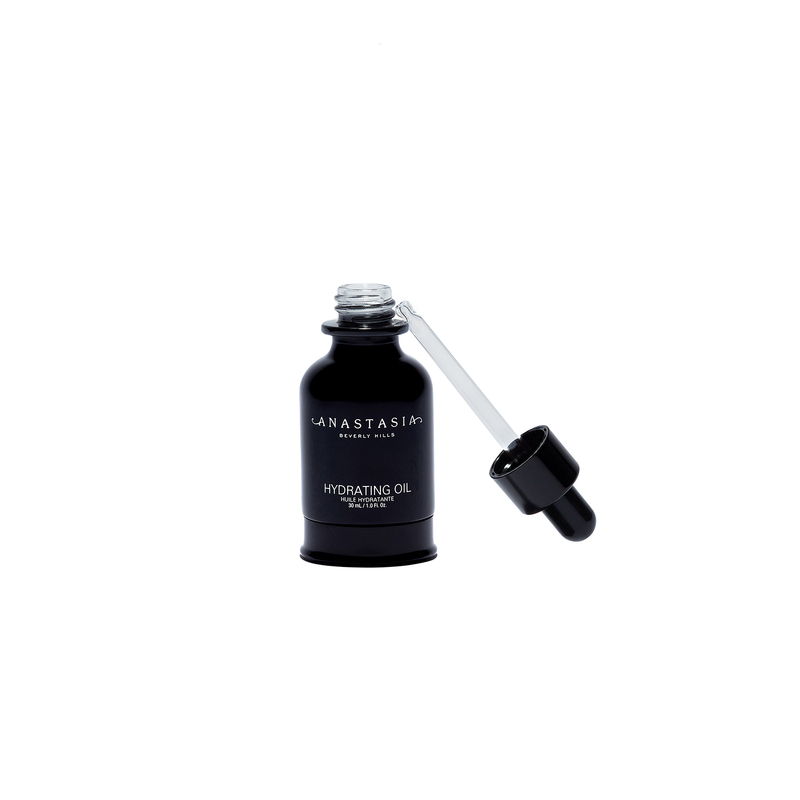 Using the dropper applicator, apply Hydrating Oil directly to the skin where needed. Then, buff and blend the formula into the skin using your fingertips or the tool of your choice. 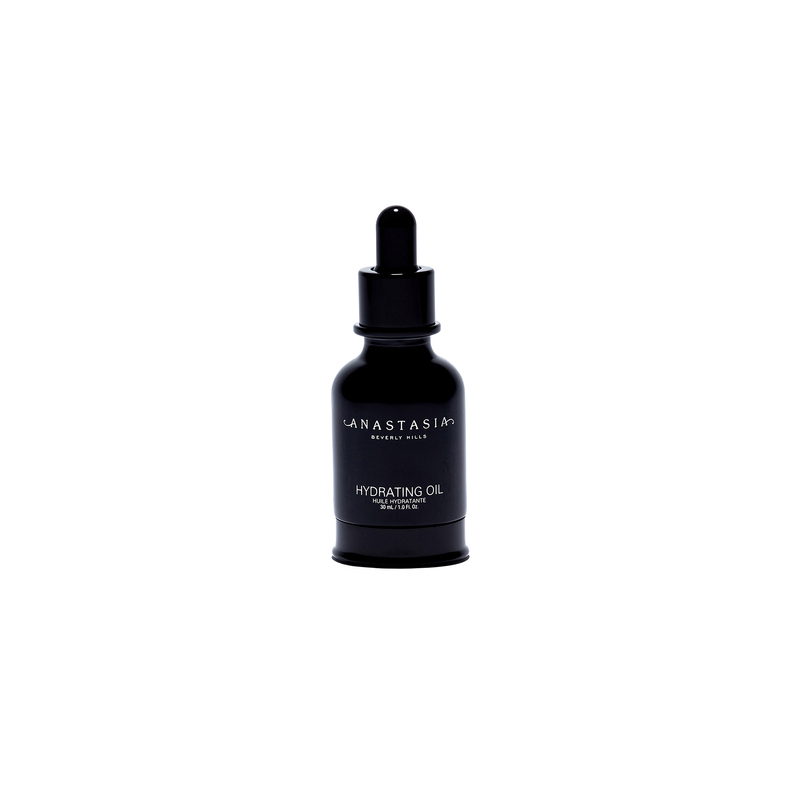 For hydrated, more supple-looking skin, apply a few drops of Hydrating Oil to the face and neck twice daily.